Legendary beer expert Charlie Bamforth presents the most compelling social history of beer ever written: where it's come from, and where its headed. From centuries-old cultural values to radical new approaches, craft brewing to globalization, it's an amazing story. Bamforth tells it all with humor, behind-the-scenes insight, and sheer joy! With origins 8,000 years in the past, beer brewing has held a prominent place in many and diverse cultures the world over. 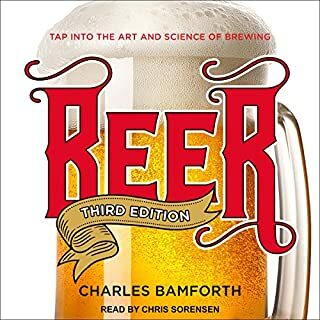 A university professor with more than 30 years' experience in the brewing industry, Professor Charles W. Bamforth is ideally suited to lead these engaging lectures on beermaking. 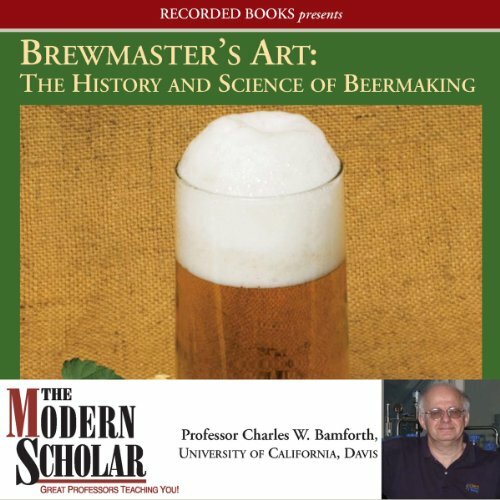 With infectious enthusiasm, Professor Bamforth provides an informative look at brewing today, including commentary on the complexity and balance of flavors that make beer (in its wide range of styles) such a uniquely satisfying beverage. What a great lesson/overview of beer in general! He goes just deep enough that you constantly learn cool new stuff and not get lost in the weeds. As a hobby home brewer he answered questions I didn't know to ask and realized I didn't understand. To a lay person that simply loves to have a pint now and then it will open their eyes to how much more there is about beer and how really magic it is! He's a great story teller too. I recommend this highly! This is a phenomenal course on beer. From the home-brewer, pro-brewer, or beer drinker. This is a great listen. One of the best I have listened to. And I have listen to many... This is in the top 2. I truly feel it should be a prerequisite before you become drinking age. 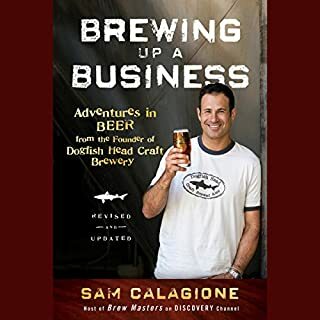 One of the best books on brewing that I have read! Would you listen to Brewmaster's Art again? Why? I loved the book. Lots of great information presented in a very sensible manner. As soon as I was done with the book, I started it over and am listening to it again. Very straight forward with a lot of very practical useful information. What about Charles Bamforth’s performance did you like? I love learning about beer. 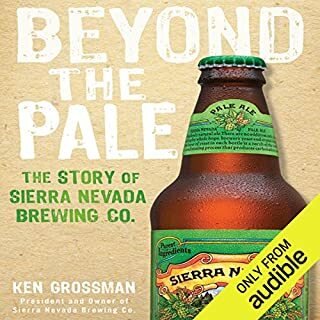 This book has helped me to understand more about the science of my home brewing. Charles, God willing, someday I am going to buy you a beer to say thanks for your life's work and for helping me be a better brewer. One of the greatest audio books! Have played it three times! Very entertaining and informational. I like Charles’ British accent very much. A good lecture series that covers the basics and delves into some topics more deeply. For the beginner to intermediate Brewer and beer enthusiast. To be honest, I thought this was going to be more step advanced step by step process of the art and science of brewing. It is ,but not to the effect that you would expect. This is more like a text book that you would expect to have for a class. Glad I've got it though, there is a lot of information. Makes me want to move to Davis and take the program. very informative and well read. knowledge bank increased 5% worth the 14 or whatever I paid for it. 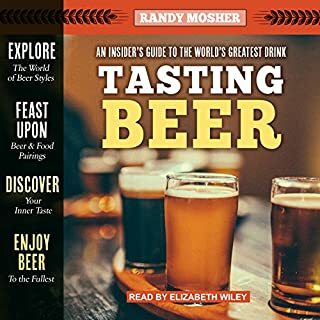 This is one of the best books on beer! 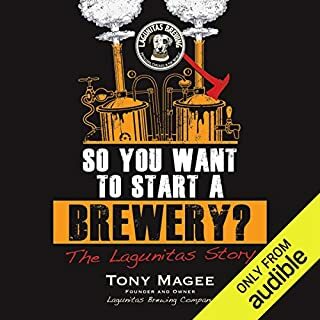 This is one of the best books on beer! very interesting and tons of useful Cicerone related info. There can no doubt the author knows a thing or two about brewing beer. 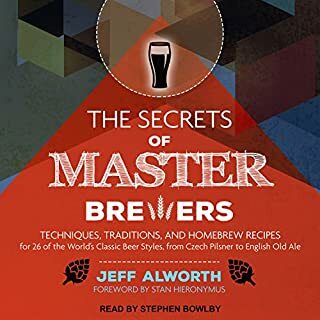 However this is not so much a brewing master class, but more of a series of lectures covering topics from brewing history to brewing science- and many others in between. Narration is clear, if a little slow.